at MD Anderson Cancer Center at Cooper. 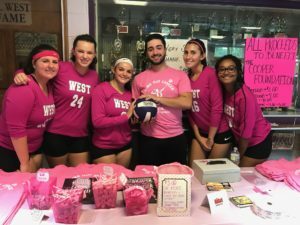 The gymnasium at Cherry Hill High School West was awash in pink earlier this month for the Spike Out Cancer volleyball game organized by senior Alexa Caputo, a member of the varsity team. When Winifred Thomas learned from her daughter that The Cooper Foundation was holding a quilt show to fight breast and gynecologic cancer, she knew her quilting group would want to donate. 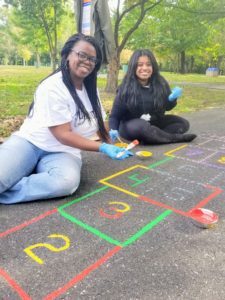 Longtime Pink Roses Teal Magnolias supporter and Voorhees resident Rosemarie Diamond remembers the first time she attended the Pink and Teal Brunch.